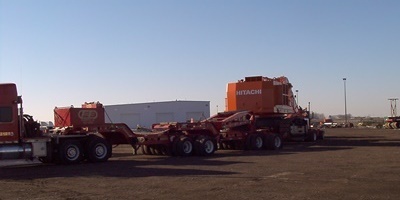 Aspen’s ST-Series (Super Haul Series) steerable transporters are designed for crane loaded payloads which primarily serve the super haul industry and are for on road applications. 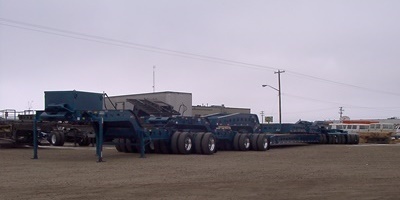 Configurations vary from payloads of 85 tons through 110 ton capacities, with axle configurations ranging from 10 through 18 axles (including truck axles) unless the transporters are in a wagon configuration. Aspen ST-Series trailers feature double drop and high frame, wagon style (tractors push/pull via drawbar) decks and non-wagon double drop and high frame (tractor supports payload via jeep or spreader frame) configurations. The ST-Series trailers have walking beam 8 wheels across per line “trunnion” suspensions with transporter equalization achieved by mechanical equalizing steerable dolly/dollies. Aspen’s ST-Series of trailers are available in specific regional interstate configurations (US and Canada) to maximize trailer configurations for specific regional regulations. Return on Investment (ROI) … Aspen trailers are known to attract better resale values in countless auction sales around North America because the market recognizes that our trailers continue to do the job and offer the best value for years and years of service. Aspen’s full range of super haul products allows you to pick the right equipment for the opportunities that make sense for your operation and abilities. No matter what the hauling challenge you can be assured that Aspen has the right design for your specific needs. Aspen’s designs allow you to easily adjust the hauling equipment to suit the full range of specialized loads that you encounter in the market today. This means you’ll always have the right equipment to get the job done with no missed or loads. Aspen’s super haul products have easy to understand and operate controls and are operable from the ground for safe, effective operation of the units. 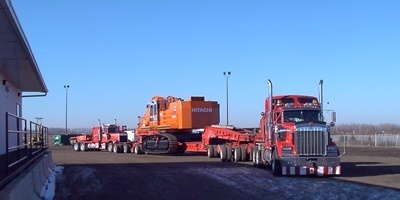 This makes for safer and more efficient operators which gets you unloaded and back on the haul sooner and safer than the competition. Aspen’s super haul products can be customized to meet your exact requirements with customization of those critical issues that need that personal touch or customization.